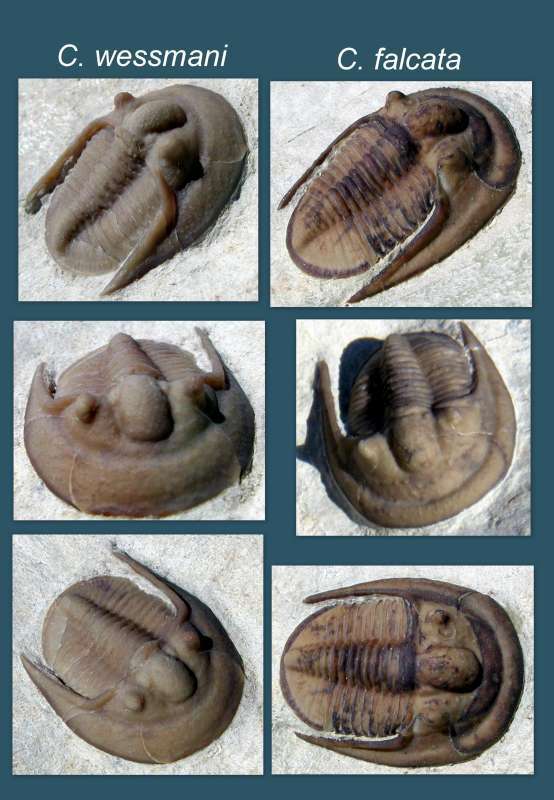 The trilobites from this family present at Black Cat Mountain include two species of the genus Cordania, which are described, illustrated and contrasted below. Below is a comparison of the two species of this genus that have been found at Black Cat Mountain. On the left is Cordania wessmani, on the right is Cordania falcata. 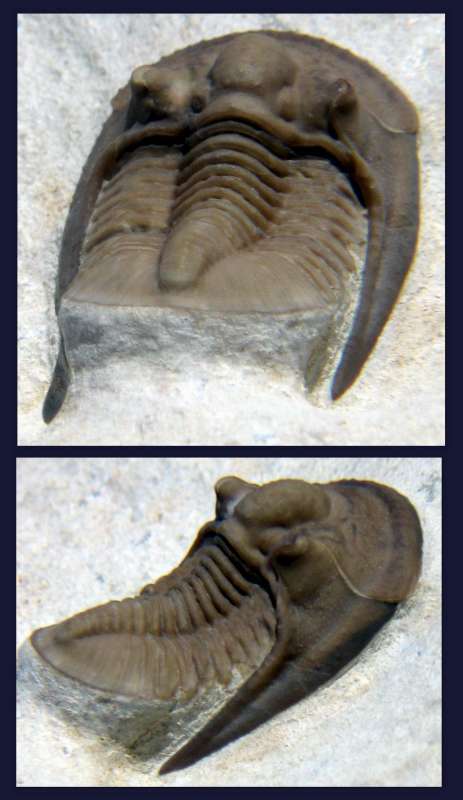 Both species are about the same length, about 10-12 mm, but notice the clear distinction between the two species in the structure of the front margins. C. wessmani has a much higher front margin than falcata. Photographs courtesy of Bill Rushlau. The photograph below shows the ventral surface of a specimen of a Cordania species. 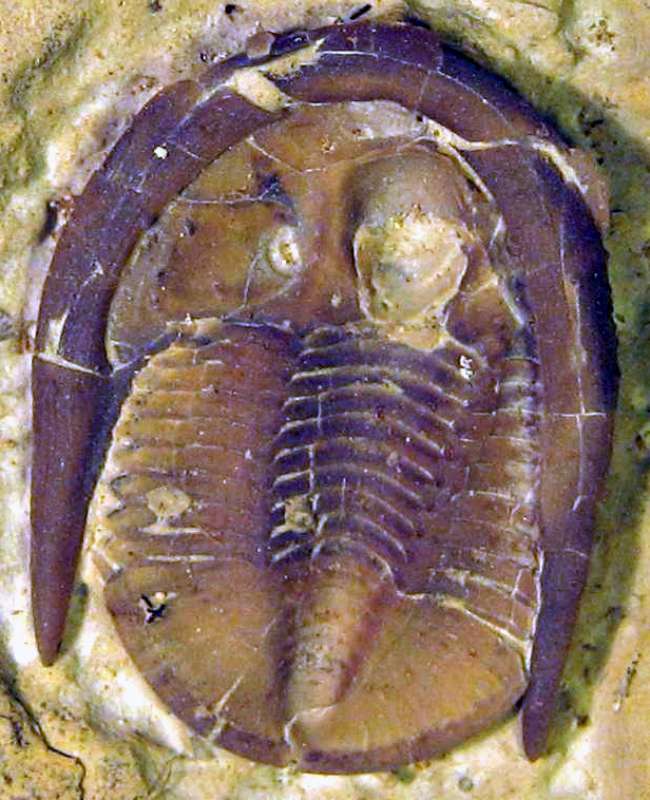 While the result is seldom esthetically desirable, photographing trilobites in direct sunlight has the potential to expose interesting features that are otherwise difficult to see. This was my thought in attempting the two photographs shown in the collage below of a slightly flexed Cordania falcata, excavated in 2008. Whether my objective was met, the specimen is interesting in the unusual thoracic flexure, a characteristic seldom found in specimens of this species.